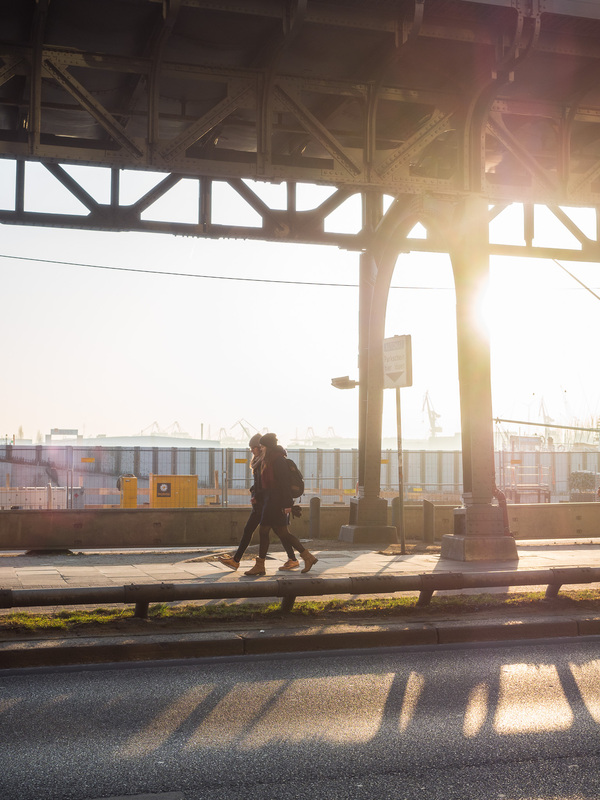 While this may not be as impressive as what other photographers / videographers are doing, I think my example serves us very well for this article, because it illustrates some do’s and don’ts quite well. A few days ago I managed to get my 150mm filters to finally do some long exposure photography with my Olympus 7-14mm f2.8 Pro lens. But unfortunately I live in northern Germany, not too famous of amazing weather. After a few more days of wait, finally the sun came through. While it was still quite cold (about 5°C with freezing wind), the sunset was stunning. I did manage to get one nice shot out of it and recorded a video of that. Today I knew the weather was going to be nice and it already started in the morning, when I was cycling into the office for work. 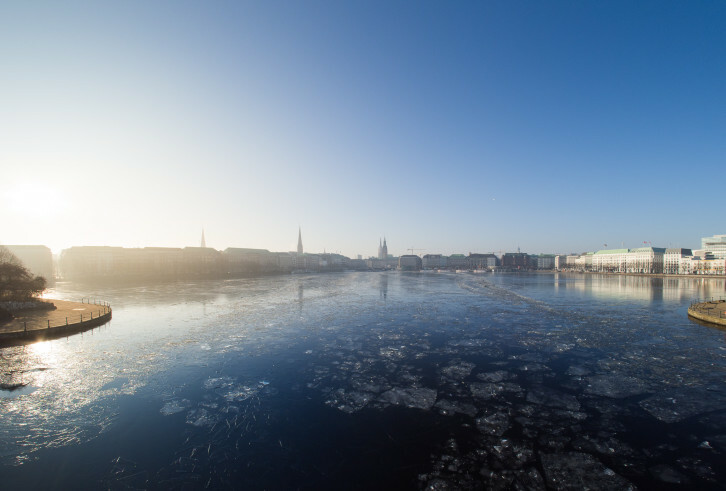 When I saw floating ice sheets on the Alster lake in the morning, I just had to stop there and take some pictures. Later that day I proceeded to leave work early to meet up with two friends to take some pictures around the Dockland (a visually pleasing office building right at the harbour). Still, I had to stop a few times on the way because of the amazing light. I haven’t been writing in ages, but I have not forgotten about the blog. Recently I made the switch and bought an Olympus E-M1 Mark II, since I loved the Mark I. Not because I needed to upgrade, but because I wanted to (GAS got the better of me). One of the things that I liked about the E-M5 Mark II, which I had hoped to have in the E-M1 Mark II, was the high resolution mode. For those of you who don’t know: Olympus takes 8 pictures by moving the sensor with the In-Body Image Stabiliser (IBIS) by tiny bits and then merging it together into one huge image (50 Megapixel JPG, or if you convert the RAW, it gives you a whopping 80 Megapixel). I have shot this in RAW (it automatically saves a JPEG as well) and will be showing you both, the converted RAW and the in-camera created JPEG. If you wish to see them, just scroll down. First I would like to talk about the small pitfalls I encountered while taking these. I do enjoy walking around the streets of KL. There is just so much to see and you always encounter at least one unexpected thing throughout your jouneys. During the day you can discover all sorts of interesting things, if you are a little attentive and dare to move away from the main streets a little. 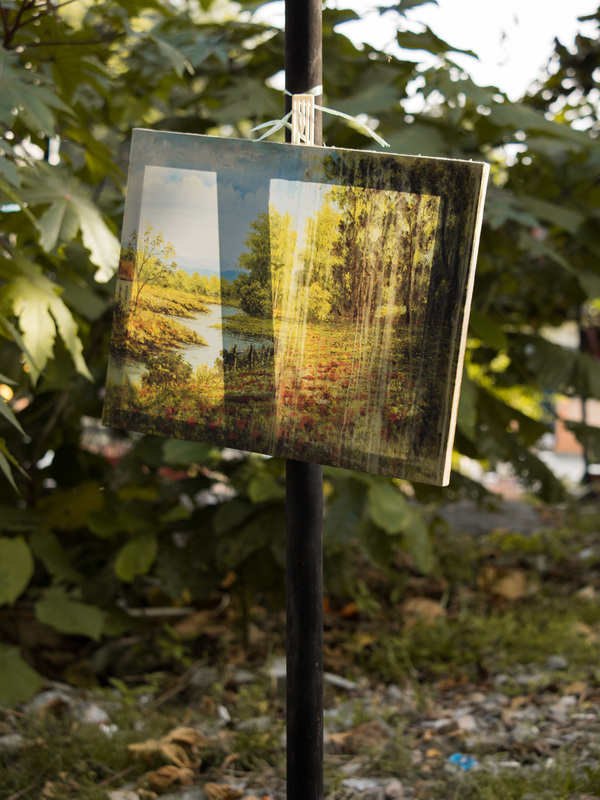 Not only do you see childrens playgrounds that seem to have suffered over time and not seen a child in years, you even come across things like incredible art at a sign post. 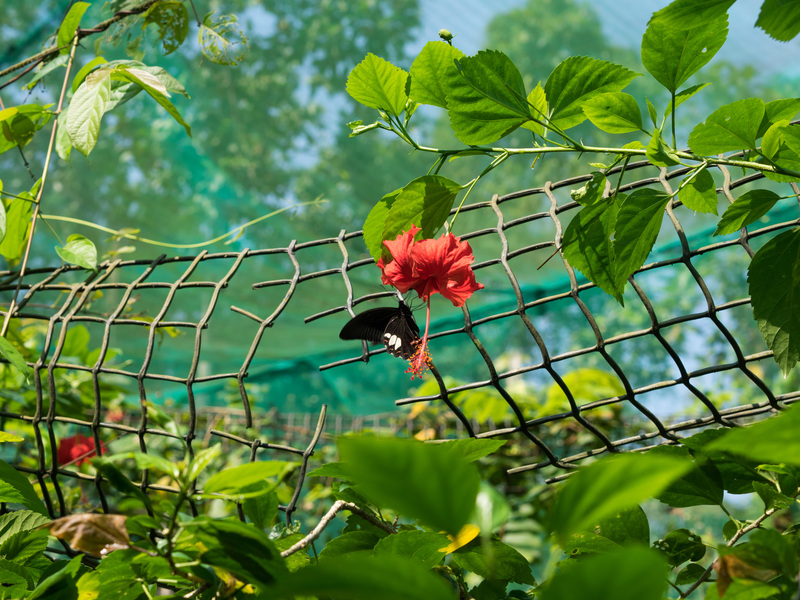 Today was a rather nice Sunday morning and Robin Wong invited me to join him on a tour through the Butterfly Park of Kuala Lumpur. Unfortunate circumstances made this slightly more difficult (he forgot to message me until last night and I forgot to charge my phone, so I only got the message this morning, haha), but eventually I arrived and joined Robin, Jackie, Carmen and Calvin on their photo tour. However, the target was not, as one might be tempted to conclude, butterflies. Instead the objective was to take macro shots of insects, such as spiders, crickets but also flowers and the occasional butterfly.